A Cup of Hot Chocolate on a Cold November Day in Montreal! The month of November has begun and at EC Montreal it’s all about feeling good and feeding the soul! We have a month of wonderful activities planned for our students. 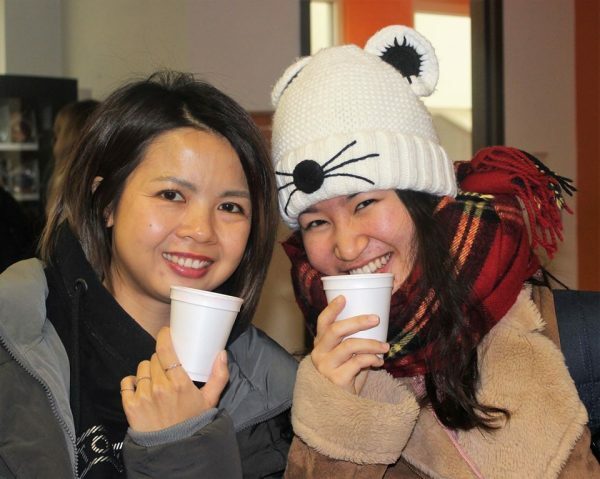 We kicked off the calendar with a hot chocolate activity! There is nothing better than a warm cup of hot chocolate on a cold November day! 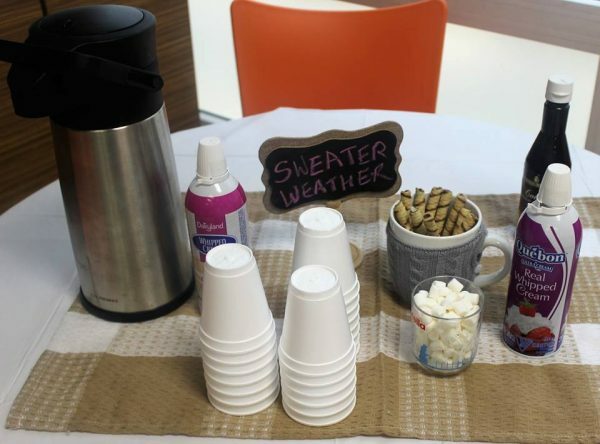 We had ten liters of hot chocolate brewing and each table was filled with the most delicious toppings! We had miniature marshmallows, whipped cream, cocoa powder, chocolate and caramel sauces and other wonderful sprinkles! Even our mugs wore sweaters! We had rolled wafer cookies and candy canes that the students could use as swizzle sticks! They were both delicious and practical! Our students love these opportunities we give them to hang out in the EC Montreal student lounge and to interact with one another! We look forward to our comfort food session next week when we will introduce our students to grilled cheese sandwiches, Canada’s number one comfort food! We look forward to an entire month of soulful November activities! Study at our Montreal language school!